RE/MAX provides comprehensive listings of property for sale in Klerksdorp. Known as one of the most important centres of South Africa’s gold industry, this picturesque region is a major economic hub of the North West province. The city has plentiful amenities and is extremely well maintained. Real estate here offers lifestyle benefits for families, as well as financial opportunities for investors. The popularity of this town is based on its world-class infrastructure, large retail sector, and excellent medical facilities. Positioned amongst rolling fields of fertile farmland, the destination is full of old-world character. Houses for sale in Klerksdorp are always in demand, due to the area’s well-appointed business district and quiet, sheltered suburbs. Excellent security – According to recent statistics published by the South African police, Klerksdorp remains one of the safest cities in the country. The relative lack of crime provides excellent peace of mind for families and business owners. World-class education – Home to some of the province’s top learning institutions, including a Boston City campus, Klerksdorp provides many study opportunities. There are primary and high schools, and RE/MAX agents can advise buyers on the various catchment areas for the different facilities. A peaceful way of life – Klerksdorp is a historic small town with unique charm and a genuine community spirit. Classic Dutch architecture can be found, including some remarkable churches and public spaces. Families enjoy the lifestyle that this safe and picturesque town provides, far from the bustle of the big city. This is a place where simple values are still held dear. 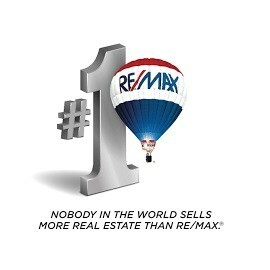 At RE/MAX, we have the expertise and experience needed to successfully guide you through the Klerksdorp property market. We feature a variety of real estate in sought-after locations such as the Wilkoppies, Hartbeesfontein, Meiringspark, La Hoff and Randlespark. Whatever your preference, from free-standing houses to apartments, we’re in a position to locate it. Browse our listings to find your new home, and let a RE/MAX agent put the keys in your hands.